“Now after Jesus was born in Bethlehem of Judea in the days of Herod the king, behold, wise men from the East came to Jerusalem” (vs. 1). The Greek term magŏs may refer to a wise man, scholar, scientist, astronomer, interpreter, or seer (cf. Daniel 4:8-9,18). Coffman has pointed out that “[t]he translation ‘wise men’ is a fortunate rendition of the Greek term ‘magi,’ since the truly wise of all ages are indeed those who bow down and worship the Lord Jesus Christ” (1983-1999). Some interesting parallels are suggested between the way the wise men came to Jesus and the way many people come to the Lord today. The wise men followed the light. They saw the star in the East, and knew it was the start of the great King (vs. 2). The star led their way, and they rejoiced greatly when the light finally took them to the presence of the Lord (vss. 9-10). Likewise, no one can come to the Lord without following His light. The Psalmist wrote: “Your word is a lamp to my feet and a light to my path” (Psalm 119:105). Only the light of the Word of God can guide us to the Light of the World (John 8:12). The wise men arrived to the wrong place. The light guided them out of the East, but it did not guide them to Herod’s palace. They may have thought that, since Jesus was a King, then He would be in the royal palace—the wrong place. Only when they continued to follow the star, they finally found the Lord. This teaches us that we need perseverance in our search of spiritual enlightenment through the Word. A casual or careless look into the Scriptures can lead some to the wrong religion, the wrong church, and the wrong savior. Only diligent study of the Scriptural Light can assure that we are in the right way (John 5:39; Acts 17:11). The wise men worshiped the Lord. They not only were curious about seeing the King, but they humbly submitted to His Lordship and offered worship (vs. 11). The wise are those who, after finding the Lord, decide to give Him a life of service and worship (cf. Matthew 19:16-30). The wise men returned another way. They took God’s warning seriously, and did not return the same way (vs. 12). No one who comes to the Lord should continue in the old way, neither come back to it (2 Peter 2:20-22). Those who come to the Lord after getting out of the broad way, must take the narrow way to find eternal life (Matthew 7:13-14). 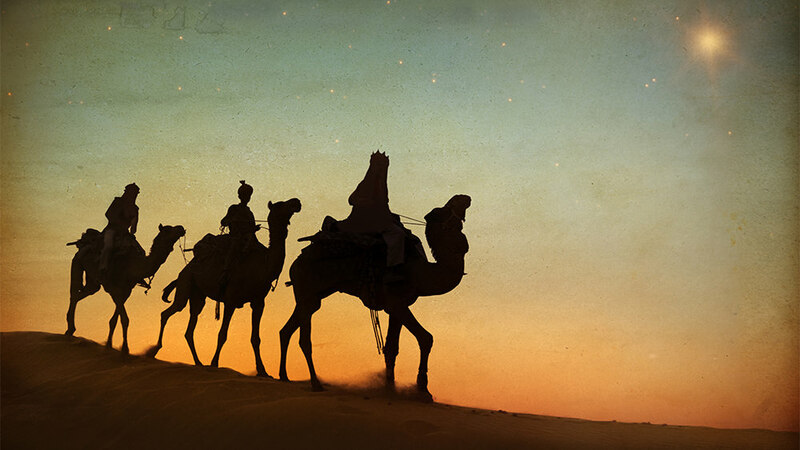 The wise men looked for, persisted on, found, worshiped, and obeyed the Lord. We should do the same. Coffman, James (1983-1999), James Burton Coffman Commentaries, on Matthew 2:1, Study Light, http://www.studylight.org/com/bcc/view.cgi?book=mt&chapter=002.